CLOCS was proud to sponsor the Health, Safety and Wellbeing Award at the Constructing Excellence SECBE Awards on 28th June – attended by 600 industry leaders – and was particularly delighted that the panel of independent judges selected Lendlease Construction as the overall winner as they are also a CLOCS Champion. The Judges said, “Lendlease Construction’s long term and high-level commitment to health & wellbeing has provided significant resource to establish and maintain an industry-leading and contemporary programme to support a healthy and productive workforce”. The judges were also hugely impressed by the outstanding efforts and achievements of ATT Tideway EPIC: Logistics for its “innovative ‘top down’ approach to engaging with all employees, contractors and stakeholders which has brought about huge changes in drivers’ attitudes, engagement and more considerate behaviour”, awarding the team a Highly Commended. Click here for more information on what made each so special. Kate’s efforts and achievements in driving positive change in construction, particularly her work to raise profile & improve Vulnerable Road User safety, have been publicly and justly recognised in the Telegraph’s Top 50 Women in Engineering 2018. Many will know Kate as a compassionate and tenacious campaigner for improved road safety, setting up See Me Save Me after her sister, Eilidh, was killed when struck from behind by a fully laden tipper lorry whilst cycling to work. Kate has been at the centre of CLOCS since its inception, secured Northumberland’s adoption of the CLOCS Standard when she was a County Councillor, ensured inclusion of CLOCS in revision of other industry standards - CEEQUAL and BREEAM handbook for new construction and much more. Shout about what you’ve been doing as a CLOCS Champion! 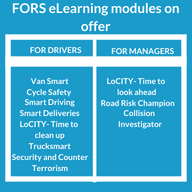 FORS Professional training includes a range of learning options, including eLearning and classroom-based courses for both drivers and managers. 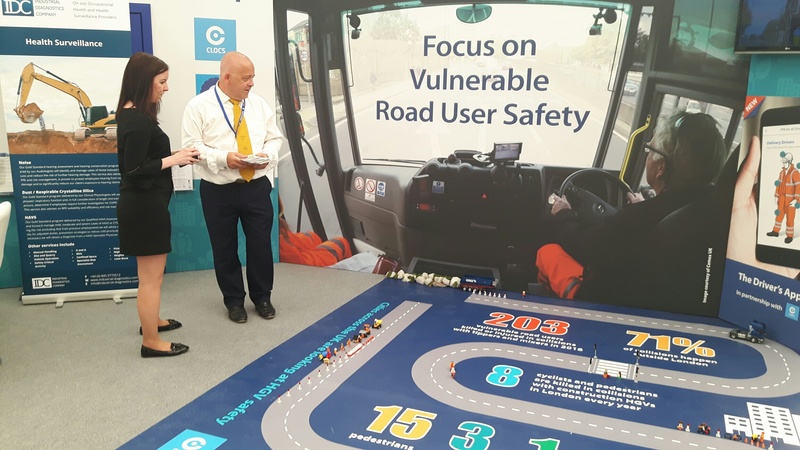 By undertaking FORS professional training, drivers and managers can help their organisation improve fleet performance with respect to safety, efficiency and environmental impact. As part of the FORS Professional suite of training, FORS operators and their drivers are able to take advantage of a number of free-to-access eLearning modules, designed to offer concise and accessible training that will help FORS members meet the requirements of the FORS Standard. In 2017 alone, over 120,000 drivers and managers completed an eLearning module. To find out more about FORS and its benefits, please click here. For a short summary of each module, please take a look at the FORS Professional eLearning leaflet. 3rd July, 8th Aug, 6th Sept, 9th Oct.
Pedestrian fatality A pedestrian has died after being hit by an HGV in Hartley Wintney.